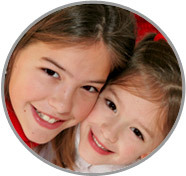 ABC's Lancaster County PA Nanny Agency thoroughly screens each candidate and sends you only the best caregivers! ABC’s Lancaster County PA Nanny Agency seeks nannies like Reyna who have longevity with each of the families they care for! Please call 717-221-1020 today to speak with a placement counselor and start your search at the perfect Lancaster County PA Nanny Agency!